Scubasur holds a range of the latest and greatest products and brands. Almost anything you could want, we can source. Multimedia air-conditioned classroom, large segregated changing rooms with hot showers and equipment drying and desalination room. 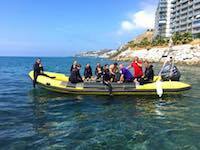 Two high-speed zodiacs and a minibus retrofitted for scuba diving and each with capacity for 12 divers. Each boat is helmed by a qualified and experienced Captain and contains supplies of food and drink. The boats are mored 25 meters from the entrance of the dive centre. 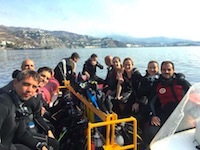 ScubaSur offers the best snorkelling excursions in the best diving areas of Costa Tropical. 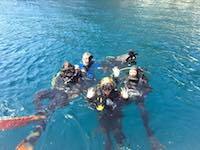 With fins for propulsion, tube and mask, snorkelling allows you to completely relax with your head in the water and enjoy a panorama and a spellbinding landscape - it is easier than swimming. 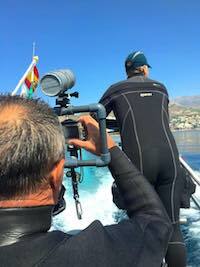 Explore Almuńecar and La Herradura across the surface of the ocean. 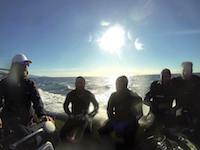 Visit the reefs from a bird’s eye view and head into all the nooks and crannies around the rocks. 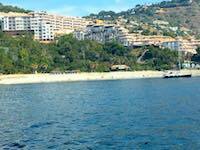 As not everything is diving, you can also enjoy a paddle surf from the coast. Sit down, relax, enjoy the sun and view the wonderful, tropical coast from the other side.